It’s a common practice for most business owners to put more emphasis on design, content and SEO when it comes to maintaining a web presence and the web hosting part is generally ignored. However, the truth is that web hosting is actually the canvas that will hold together everything that you put online; even a small glitch can result in all your efforts in ensuring top notch content, white hat SEO and customised themes and layout for your website going to waste. From boosting your revenue, ensuring optimum site traffic and SEO to securing your website and retrieving any lost information – the right web hosting service can do wonders in making your business shine amidst the competition and keeping your performance sky high even during the highest volume of traffic. First things first – decide which option of hosting is best for you by researching online or getting in touch with a professional web hosting service provider who can guide you the right direction. For a rough analysis, there are actually four key types of hosting services available – Shared hosting, Dedicated hosting, Managed hosting and Virtual Private Server. Shared hosting is a more affordable choice that particularly suits start-ups but may not be as scalable as dedicated hosting where no resources are shared and you have the sheer amount of disk space and bandwidth for yourself. Being down for even a few minutes can cost you a lot of revenue, traffic and customers and is particularly a major issue for ecommerce websites. 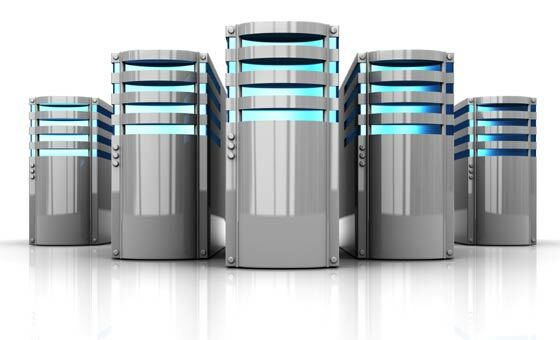 When selecting a business hosting service, always ask the provider about the maximum downtime they guarantee as there can be no compromise on this. Ideally aim for 99.9% and make sure that it does not increase more than 0.5% at any rate. While you may start with a basic hosting plan, go for a reliable hosting provider that can provide you scalable functionality, more control and additional features as your business evolves, grows and starts attracting more traffic and users. Customisation in plans is always a plus and can give you the edge you need to make a mark in the industry without spending a lot of time or resources. A reliable, established hosting provider with dependable service and dedicated customer service is the best choice because you will have the peace of mind that there is an expert out there to help you resolve any issues in case of a sudden glitch in the system. Before selecting a provider, look for reviews and testimonials about them online and make sure that they offer 24/7 customer service. While gauging costs is important, also consider premium service if you want to build a credible name for your business in the long run and don’t compromise quality over affordability in any case.